Besides your studies or after graduating from HECTOR School, you can still benefit from a valuable worldwide network. Various events and different platforms in social media allow you to get in touch and to stay connected. 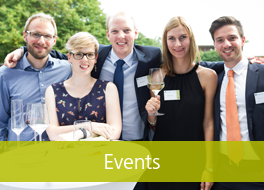 Take the chance to enhance your personell and career network. Benefit from enriching fireside chats, enjoy diverse social events, and get in touch with professionals from all over the world. 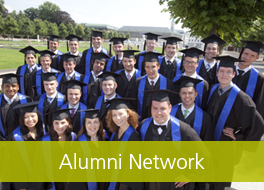 As an HECTOR School alumni you benefit from several networks: the connection to other HECTOR School alumni, to graduates from all schools of the International Department, and to the huge KIT Alumni Network. Keep in touch! 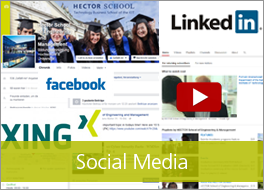 Get the latest updates on HECTOR School, check out current pictures, interesting links, and helpful information on our various Social Media channels. Get connected! 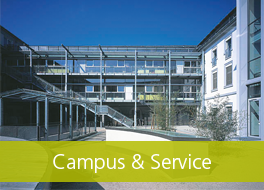 Profit from the campus facilities and services at HECTOR School as well as from the comprehensive KIT infrastructure. Besides, the city and region of Karlsruhe has a lot to offer.